I’m guessing these guys are fairly young. The have probably ventured into Metal sometime in the 21st century. Still, it’s not a common thing to find something like this in Croatia. Or Balkan Peninsula in general. This is the sound we most often associate with USA or Western Europe. Or is it just me? 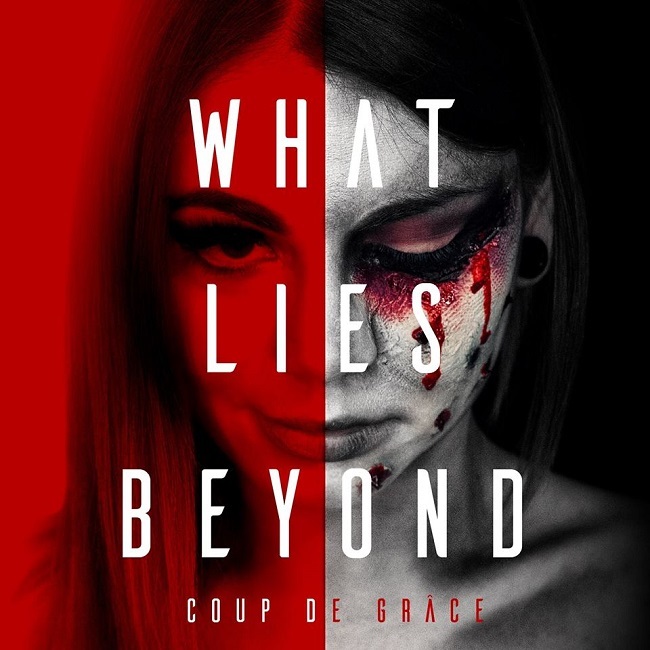 “Coup De Grâce” is the debut album by the Croatian five-piece called What Lies Beyond. And it is as modern as it gets. I hope no member of my Black Metal band reads this but I must note that this is a genre I do enjoy. From the very beginning it reminded me of the later Papa Roach or Bullet For My Valentine. There are many more bands like this haunting the shores of America, so you can probably pick your own favorites for comparison. Sure, the Croatians don’t even show a hint of original ideas. They are buried deep in their influences, and I still don’t find anything wrong with it. Compared to the latest works by their heroes, “Coup De Grâce” should easily stand on the top. Music like this always depended more on the hit songs than original approach. And there are a couple of real hits over here. It is this fresh energy these youngsters bring along that ignites this album to its heights. Every standard set in the genre has been carefully introduced to this record as well. From the world-class production to the quality of musicianship and creativity. What Lies Beyond does mix things up a bit. They thrive in very aggressive and energetic parts and combine them with melodic leads and slower tempos. During those faster moments they slide into the modern melodic Death Metal territory, bringing In Flames to mind, for example. However, they skillfully arrange their songs so that you cannot easily assume where it’s going to go next. Croats even vary their songs with guitar solos. To make matters even more interesting, there is even a real piano-driven ballad waiting on track 7. The diversity in the vocal department is another trademark of the genre that What Lies Beyond utilizes to perfection. The singer does a good job transforming from screaming and shouting to full-blown growling. There’s even a female vocal visiting on a couple of songs. Speaking of which, why is the girl not credited anywhere in the promo package? Serious fault if you ask me. Anyway, everything seems OK on this album. By “everything” I must mention the brilliant artwork! Very suggestive, especially with such a title for the record. Cheers for that guys! On the negative side, this album could use more of those catchy, memorable tracks. I have mentioned above there are a couple of them. The opening two are serious hits that will be sung by any fan. Apart of that, I can find no problem with this release. There is even a physical version of the album available, so the young guns have a real respect towards their music. Considering this release is mostly directed towards the new generation of Metalheads I’m not sure how that will go, but I’m interested in getting my hands on a copy. Recommended to the Metal millennials. Old school bangers will hate it.